This is my first casino online and still exist untill today. They have the biggest maximum winning in single bet among other online casino (30 btc) , and you can even bet with 1 dogetoshi to test some strategy. So what about you guys, did you still feel comfortable in PD or maybe you have planned to leave PD? Another thing as additional point for Primedice: their protection to keep you out from beggars. Even not 100% protected, once you reports begging users with prove they'll send mutecoin for those beggars. I don't mind to give users some coin for those which I think really appropriate, but begging continuously... those are problem and annoying. Well.. they chained me with making me a Moderator here :D. No, thats not the reason. Its the community. There are some lovely people here I like and love to chat with. Sometimes the chat is a little.. messy from time to time. But often enough we can have pretty nice conversations there. And of course.. we all are connected to people from everywhere around the globe, which makes staying in chat a special occasion. 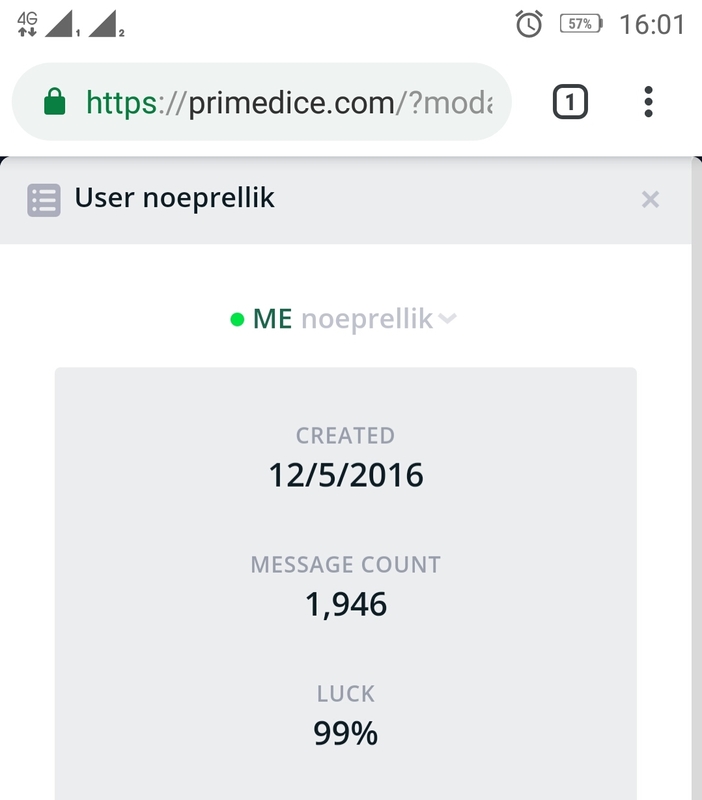 Primedice was the first crypto gambling site I tried. I have been hooked ever since. 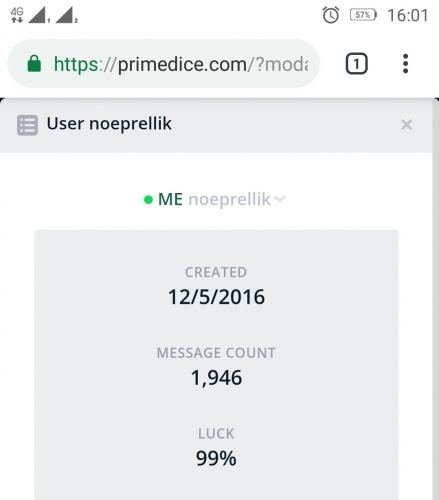 I have had a great time on PD winning and losing a lot over the time. All the above and the pt chat, I am not a really good english writer, and tiping things in pt, talking to other pt users, are really interesting. i like the UI, Challenges, and Chat Room. I think I mentioned this before when this topic was covered.. Mainly, the support makes me stay. And I think, a lot of members would agree. Timely and cool personels that they have in the support group. Very efficient and approachable. I also consider what you listed above, for the giveaways and PPP. The community and the rewarding system are really attractive too ! I quit playing here pre 2017 and later came back when I saw the changes, love the weekly giveaway and our quiet ghost room ph chat. Unlike other sites, ph chat room here is clean and free from beggars only issue are the commands being spammed by other nationalities, maybe pd can make a command only room (just a suggestion) for commands so other players wont have to spam other flag's room with those bot commands. Need to mention the live support here is awesome and they are very professional in dealing and talking to players. I have been playing in a lot of sites but the support here is exceptionally the best. Same of course, who would not like it? I also take that as an opportunity to make this Community more alive, active and bringing back more people into both Primedice and Stake. 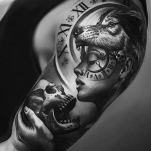 Is is the pionner of all other Dice Casino games, and constantly evolving, adapting. No words to describe such support, it's just marvelous. to create more trust in all of us "GUYS"
to give my opinion on topics and big reflextions. this way to winn more and do big SHARES . Well you said it very well my friend ! I couldnt anything , it s been a long time i m here, and PD is my favourite place to play dice too !! !